Variation of route – When you leave your house, you have an almost infinite number of routes that you can take. If you feel like a longer run, then you can make the route longer very easily, and once you commit to a longer route then you have to carry on; unlike a treadmill where you can press the ‘stop’ button if you get bored. In the long run this can make a big difference. If you’re feeling like a challenge, then you can select a route with a lot of hills. If you want a gentle recovery run, then you can choose a short route that is flatter. 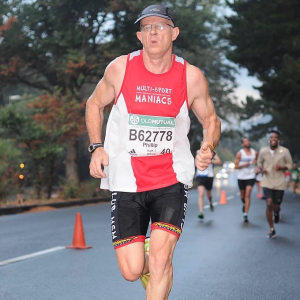 Cost – Arguably the best aspect of road running is that all it costs you is a pair or running shoes (that you would still need with a treadmill anyway). You have everything you need on your doorstep and can create great custom runs to fit your training plans. Your other alternatives are buying your own treadmill or joining a gym; both of which are pretty expensive. Different surfaces – A treadmill is a treadmill, and not much can be done about it. Running on the road or outdoors opens up the possibility of running on different terrain. If you’re lucky enough to live near a beach, then running on the sand opens up a new challenge for your body. Cross country is another excellent variation that helps with balance and coordination as the surfaces can often be unpredictable, this is great at reducing your risk of injury as your muscles become more flexible and accepting of rough terrain.. The surfaces can be softer, which is good for post injury rehabilitation. Escapism – With such a fast tempo around everyday life nowadays, it can be hard to ‘get away from it all’ at times. Running in the fresh air whilst listening to your favourite playlist (or even taking in the natural sounds of your surroundings) can be very relaxing and enjoyable; almost to the point of forgetting about the exercise you are doing! With the hectic world we live in seemingly all around us, sometimes being able to escape it and have some quality ‘me’ time is needed, and running can often provide this. Weather – another form of variation that can help make a workout less monotonous is the weather. Running in the rain, sun, wind or cold can add a new dynamic to your run, ensuring it remains interesting and challenging. Just make sure you are dressed appropriately. Readiness – it is easy to make excuses as to why we can’t do something, but putting on your running trainers and getting out the front door reduces the excuses you can have. You have it right on your doorstep and it can take as little as 20 minutes to get a decent workout. Practicalities – running sometimes just makes sense. If you’re struggling for motivation, try adding a reason behind your run. Maybe you run to work, run to your friends house, or even run to the local post box to post a birthday card. Running for a reason further reduces your chance of talking yourself out of it. Information Displays – check your speed, distance travelled etc. Customisation – increase the speed, gradient or time easily. Measurability – you can track your calories, and measure against previous work-outs easily. Both are better than not running, but the variation and natural benefits of running outside seem to outweigh those of running indoors on a treadmill. There is a lot of debate about whether road running or running on a treadmill burns more calories, but it is difficult to measure. The customization aspect of treadmill running means that you have the potential to make it more challenging than road running, but the fact that the treadmill assists you (the rearward motion of the belt) could counteract this. All in all it is tough to establish, but the benefits of running outside seem stronger than running on a treadmill.